St. George, Utah has fast become the place to vacation or move to. The area can brag of many national or state parks to visit, historical landmarks and pioneer homes, one of the worlds largest marathons and some of the best golfing available. St. George is nestled in the mountains painted red by minerals and full of great caves to go splunking in. The weather is warm year round, winter is 40* to 60*, spring and fall 70* to 90* and the summer 90* to 114* for you desert rats who love the heat. If you want a unique vacation that all will remember St. George, Utah is the place to go. 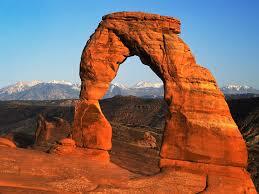 The following list is the places I think all should see, not just if your in Southern Utah but sometime in your life. Thank you for letting me share my beautiful home. One of the prettiest National Parks in the world. There is plenty of hiking at all hiker levels, some natural pools to swim in, and even a rock the weeps because of the poreous nature of the stone. All visitors will be pleased with thier visit to this park. The park has shuttle service to take you to the different hikes in the park, camping for thier outdoor visitors and a newspaper that gives you information you need or want to know about the park. 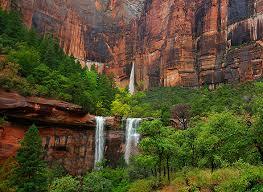 Zions National Park boast over a million visitors a year and if your lucky enough to visit during a rainstorm you will get to see many beautiful waterfalls collect and run off the sides of the cliff. Pine Valley, Utah is home to Dixie National Forest where visitors can fish Pine Valley Resevoir, hike the forest, picnic, camp, or sled in the winter. Easy to fill the day with outdoor activity the whole family will enjoy. 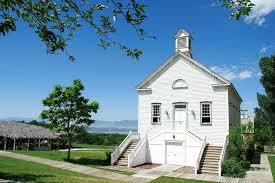 Pine Valley was settled in 1859 and is home to the landmark Pine Valley Chapel. This chapel was built in 1868 and designed by shipbuilder Ebenezer Bryce using the bottom of a boat to build the rafters. Pine Valley is 45 minutes North of St. George driving up through Snow Canyon, a beautiful drive with historic landmarks like Mountain Meadow Massacre so you can stop and learn by reading the markers. 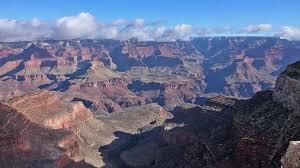 North Rim of the Grand Canyon National Park is located about 3 hour drive from St. George, Utah. A visit to this park is a life experience it is 277 river miles long, 18 miles wide and about a mile deep. You can hike down into the canyon or complet the hike across from the North Rim to the South Rim. You can book a trip to the bottom of the canyon on donkey or just simply drive to the lookout spots and see the canyon from different views. There is camping or cabins for the visitor to stay in and the drive through the canyon is through the mountain of aspens and pine it is a treat relaxing to view. The Indians called Cedar Breaks "Circle of Painted Cliffs" because of its brilliant colors. 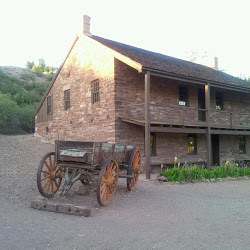 Located up Cedar City mountain 45 miles from St. George. 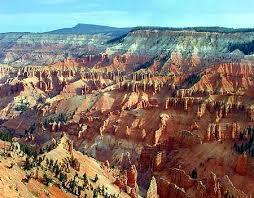 Cedar Breaks is a half mile deep minature Bryce canyon a grand geological amphitheatre. Cedar Breaks host Star Parties and a Wildflower Festival. Millions of years of erosion have carved this coliseum of stone spires and the minerals in the rock have painted it for the visitors pure viewing pleasure. Because of heavy snow this park is open from late May until mid October. 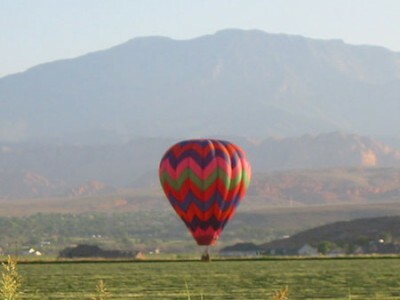 With all the beautiful variety of landscape in southern Utah hot air ballooning can be the day trip many are searching for. Get an eagles view from the air of the surrounding red rock and desert areas. The ride leaves at sunrise and take about three hours leaving you the rest of the day to explore the floor of southern Utah that you have just seen. This is an experience that cannot be replicated anywhere. Hot air ballooning is one of the safest forms of flight and because of the exquisite weather of southern Utah the flights are done year round. The St. George Marathon is 38 years running and rated by Runners World as one of the "four marathons to build a vacation around". This marathons starting place is beautiful Pine Valley and then descends 2600 feet through Snow Canyon and down into St. George, Utah. 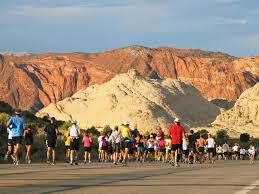 St. George Marathon is a point to point race, USA Track & Field Certified and Sanctioned. This race is usually held in mid October, about 70* to 80*, and it is recommended that entry fees and hotel stays are arranged early. Many must be turned away each year from the race and hotels are booked 50 miles out almost a year ahead. Most people around the world have heard of or want to visit the city of lights, Las Vegas, Nevada, the entertainment capital of the world. With its well known casinos and shows Las Vegas has entertainment to satisfy all genres of people. When you stay in St. George, Utah you are only an hour and a half away from this exciting city. This city host some of the best singers, comedians, and variety acts found around the world. Las Vegas allows gambling so the city is full of casinos all wanting you to stop and play the tables or slot machines, whichever the visitor prefers. The hotels and shopping of Las Vegas are some ot the best in the world. Dining in Las Vegas is outrageous, you can find anything and any price depending on what you want to eat or what you want to spend. Buffets are numerous and of a great variety just as the restaurants. This is a day trip you should take when in St. George, Utah. This museum houses dinosaur tracks right in the dirt where they were found, along with fossil fish and plants. There is also sedimentary structures and traces of invertebrae. This site is said to be one of the best dinosaur sites in the world. Found on the Johnsons farm in St. George, Utah it has become a historical site and the museum built right over the tracks. Come and visit the site and get involved with their inteactive displays. A great day of history and learning. There is so much history in southern Utah going back to the pioneers coming and mingling with the indians here in St. George. The city has preserved many pioneer homes you can tour and see how they lived, including: JACOB HAMBLINS home, a prominent mormon pioneer, and the man who was known as a friend to the Native Americans that lived in this area, BRIGHAM YOUNGS WINTER HOME, built in 1869 where Brigham Young could enjoy mild snow free winters, ANCESTOR SQUARE where historic buildings have been restored and made into shops, galleries and boutiques, and ST. GEORGE LDS TEMPLE, completed and dedicated in 1877 it is the first working temple in Utah, visitors can go to the visitors center to learn about it and walk the grounds to view the majestic white spires. The Parade of Homes in St. George, Utah is 25 years running where you can visit and walk through 28 homes or more, newly built where you can find ideas, innovations, and floor plans that can turn your dreams into reality for your home. 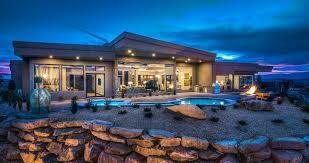 The Parade of Homes is a self guided tour offering an opportunity to see what is new in the home industry. 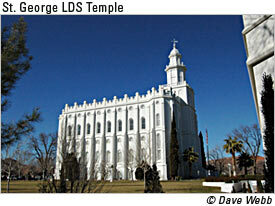 St. George< Utah is known not only for its landscape and its warm weather but for its historic value. This city is the place to visit, relax, take in the beauty of the land and learn about our history. You have a list of 10 places to see but surely you can find many more. The favorite and unforgetable is Zions National Park, a visit to this National treasure will remain with you for a lifetime. 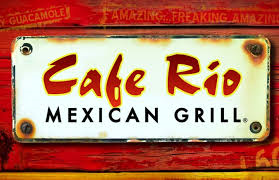 The top 10 restaurants in Lehi, Utah.